Bamboo construction makes use of the wide variety of building products now available that are made from one of the most versatile and sustainable building materials. 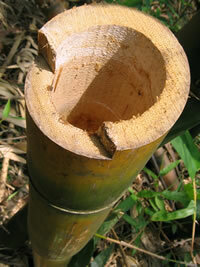 Bamboos are remarkably fast growing plants that thrive in a range of different climates. Climates that stetch across the globe from northern Australia to East Asia, from India to the USA, Europe and Africa... and even Antarctica. Because it is so strong it can be used as a structural material, and it's beauty provides an aesthetically pleasing finish. 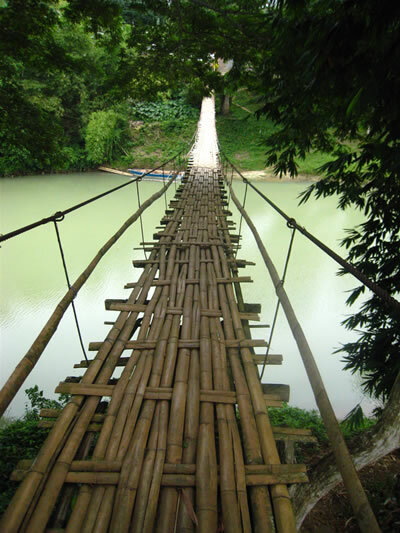 In many parts of the world, particularly tropical climates where giant bamboos grow as forests, there is a tradition to using bamboos for constructing buildings and other structures such as the bridge shown above. These traditional methods can be particularly informative to the industry in other parts of the world where these products are becoming more widely used as we become more dependant on alternative and renewable materials. The techniques can be used as a guide and our own methods of joinery adapted to suit the use of these materials in our climates. As wood becomes more scarce bamboo construction will hold more and more value outside of the tropical climates where the benefits of its use have been known for centuries. 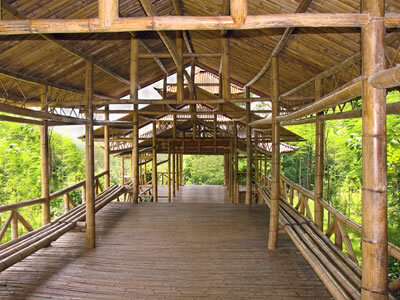 Any buildings that are constructed through the use of natural materials, as opposed to man made materials, can be classified as natural buildings. Classifying a structure as environmentally friendly would include the use of materials that do not have a detrimental effect on the global environment and that are renewable in a short period of time. 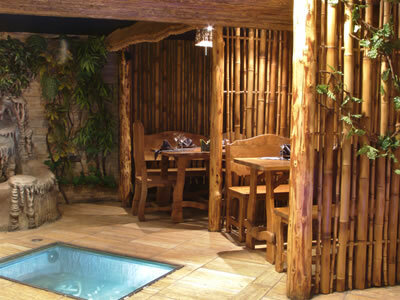 Bamboo construction falls into the category of being environmentally friendly as the plants are extremely fast growing in comparison to trees. Bamboos have a high leaf surface area that makes it very efficient at removing carbon dioxide from the atmosphere and generating oxygen in its place. Being such a fast growing grass means that harvesting takes place every 3-5 years as opposed to more than 25 years for softwoods and over 50 years for many hardwoods to mature. Of course, account should be taken of any manufacturing processes and travel to final destination when assessing the environmental impact of any resource if it is to be classified as environmentally friendly. Increasing concern over our environment and movement to using more renewable resources has led to an increased popularity in more naturally constructed buildings that fit, or blend, in with the environment in an aesthetically appealing way. 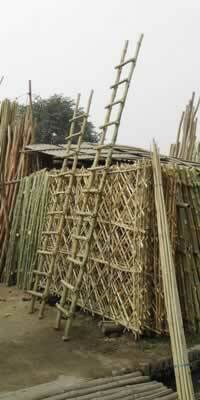 The construction industry is taking note of this and far more building products are now available that are made from bamboos and they can now often be found reasonably locally. 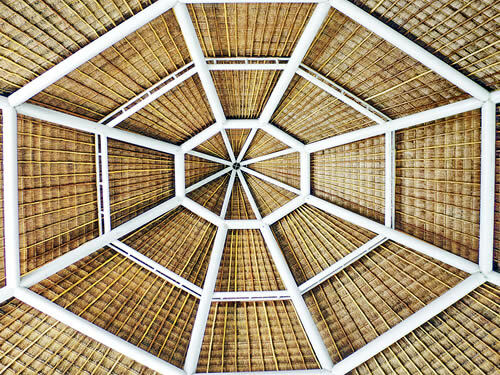 For some examples of innovative building designs using bamboos take a look at some of the books that are available on this subject, and visit the International Bamboo Building Design Competition for ideas and inspiration on use of this most versatile material. There are many building products made from these plants that are available for the building industry. I aim to provide access to a wide range of resources and guides on this site over the coming months. Existing related sections of this site are linked below.